The curtains lifted to unveil an opulent stage set in rich hues of gold, blush pink and red- we were instantly transported into an unfolding fairytale. As the orchestra began to play and the dancers filled the stage, there was no questioning that the Birmingham Royal Ballet were about to serve up a veritable feast for all the senses! The opulent world of Imperial Russian ballet with its virtuoso dance and fairy tale characters has enchanted audiences for over a hundred years. 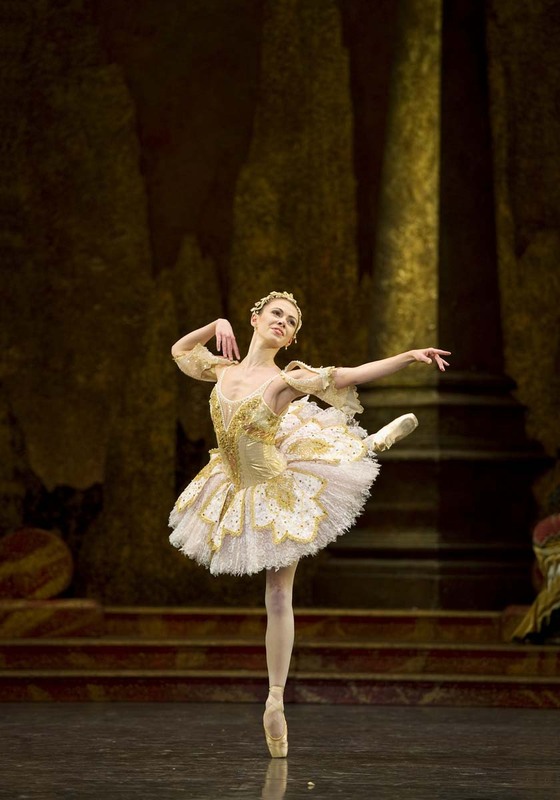 The Sleeping Beauty is made up of a prologue and three acts and was first performed at the Mariinsky Theatre in St. Petersburg on January 15, 1890. Sir Peter Wright’s 1984 production for Birmingham Royal Ballet, with designs by Philip Prowse, is acclaimed as one of the best in the world. 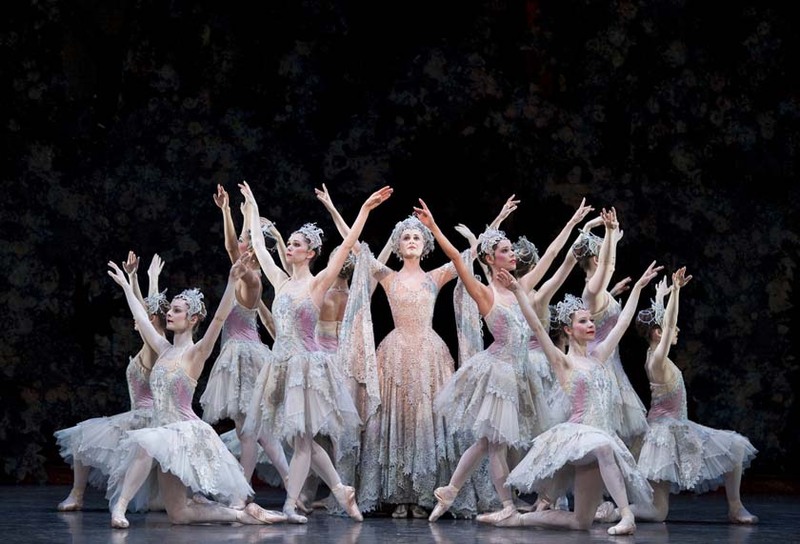 One of the things that struck me most about The Birmingham Royal Ballet’s production of The Sleeping Beauty was the jaw-dropping costume design, hundreds of costumes and wigs with such attention to detail! I read that the expert costume and wig departments begin work as soon as the ballet is announced, preparing themselves for months of repairing and renovating original costumes, dressing wigs and ponytails, fitting new costumes on dancers and ensuring every fine detail will be ready for the opening night of The Sleeping Beauty. 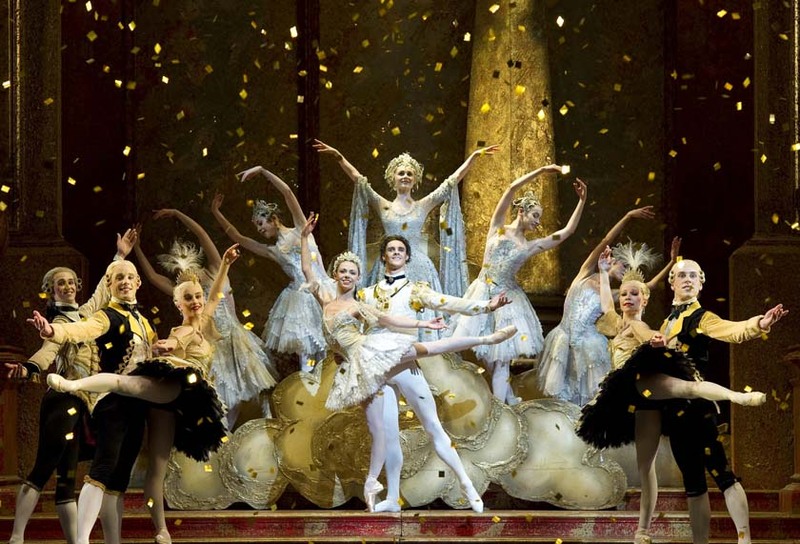 The Sleeping Beauty is Birmingham Royal Ballet’s biggest production in terms of costumes and wigs and requires an entire articulated lorry just for wardrobe. There are 66 wigs, 31 ponytails and 1 beard! There are 40 rails of costumes and 17 wicker skips in The Sleeping Beauty wardrobe, including 4 rails of Princess Aurora tutus alone! The spectacular costumes paired with the opulent stage set was truly breathtaking, like watching a pre-Raphaelite fairytale painting come to life! The night ended as every good fairytale should, with good overcoming evil! The grand finale of the ballet was the wedding scene in which legendary fairytale characters joined in the celebrations, Puss in Boots and Little Red Riding Hood even joined in the fun.